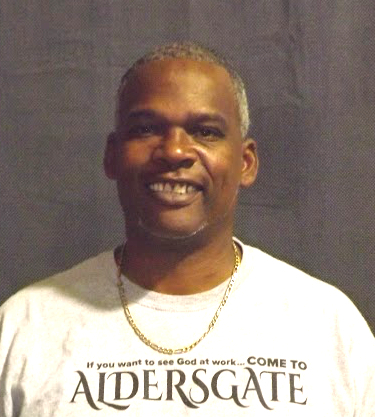 Bill is responsible for all day-to-day activities for Aldersgate’s Recycle Department. He and his staff of four manage the scheduling, pickup, and bailing of all recyclable materials including cardboard, plastics, newspaper, and white paper. Bill also oversees the secure document shredding and ensures that Aldersgate is in compliance with all HIPAA regulations. Prior to his one year at Aldersgate, Bill worked as the detail supervisor at Bruner Auto Group for two years. He is married with two sons, William III and A.D., and one daughter, Ashley. He enjoys fishing, playing basketball, scrabble, dominoes, and studying the bible. Aldersgate has given me a different sense of purpose. It’s added meaning to my life. Being able to work with those who are said to be “less-fortunate”, has shown me that they are just the same as me. It is very rewarding, fulfilling, encouraging, and most of all a blessing.